Students and parents are learning their college fates this week and then having to address whether schools are actually affordable. They have their work cut out for them as college fees, often well-disguised, continue to explode. At the University of California Santa Cruz, where tuition runs to nearly $35,000 for non-residents, students every year pay more than 30 additional fees — including a small charge for what's billed as "free" HIV testing. Students at Oklahoma State University pay a handsome sum to attend one of the state's flagship schools, but they are also responsible for covering 18 different fees, including a "life safety and security fee." The $100 "globalization fee" at Howard University is listed — without explanation — in the school's tuition and fees brochure. A school spokeswoman said the fee "supports internationalization initiatives" such as study abroad. Students pay the fee even if they have no intention of studying abroad themselves. Worcester State University in Massachusetts, however, might have one of the most arresting fees. Students fortunate enough to be admitted face the challenge of paying the required tuition. But before they step foot on campus, they also will be hit with a fee to, well, step foot on campus. A portion of the school's "parking/pedestrian fee" goes to the upkeep of the sidewalks on campus. Student fees have been something of a known irritant for years, often criticized as a kind of stealth, second tuition imposed on unsuspecting families. But such fees are still on the rise on many campuses. And though their names can border on the comical — i.e., the "student success fee" — there's nothing funny about how they can add up. 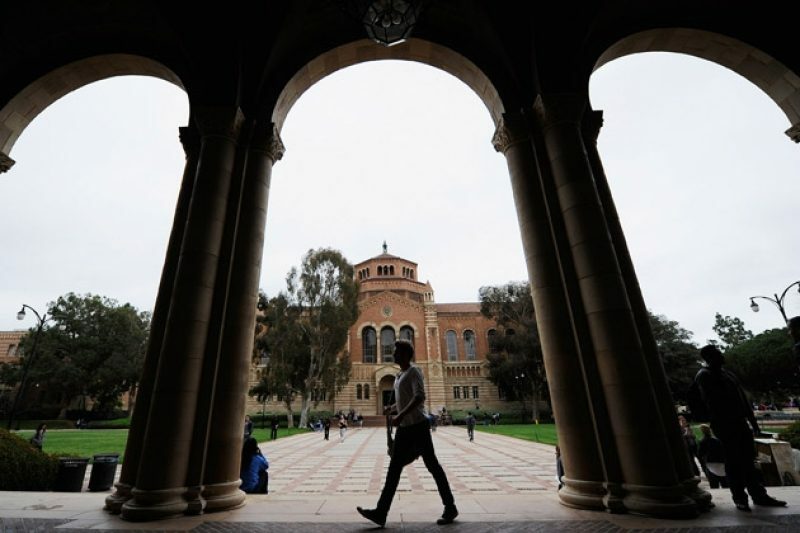 "It's a way for colleges to increase the cost that may not be as apparent to as many students," said Mark Kantrowitz, a financial aid expert and the founder of finaid.org and fastweb.org. "You focus in on tuition and when you get the bursar's bill, there are lots of little lines for all these fees, but because each is a relatively small amount, you may not notice it as much. You focus in on the big figure but not on these little figures that collectively add up to a lot." "It does seem as though we are not informed about these fees often until it is too late," Vaughn said, noting that such fees "can be the thing that puts some students who are financially strained over the edge." Many school officials say they do their best to make sure the necessary information about tuition and fees is clear to students and their parents. But there's no one definition that schools stick to when deciding what's covered by tuition and what falls under fees, and the very structuring of tuition and fees can vary wildly between different schools. "It's all smoke and mirrors in some ways, the issue of tuition and fees," said Terry Meyers, a professor of English at the College of William and Mary. "It seems to be one area of the academic world where no one is looking and no one wants to look too closely." To best appreciate how confusing — even upside-down — the world of college costs can get, consider this: At state schools in Massachusetts, where the state board of higher education has held tuition flat for more than a decade, "mandatory fees" wind up far outstripping the price of tuition. At the University of Massachusetts Amherst, the flagship of the UMass system, mandatory fees are more than six times the cost of in-state tuition. And that isn't the end of it: Students are then hit with still more charges — the $300 "freshman counseling fee," the $185 "undergraduate entering" fee, and several hundred dollars more if your parents or siblings attend freshman orientation. Honors college and engineering students face still more fees. But it has all required ever-greater attempts at creativity. In the last few years, a number of public colleges across the country have added fees with vaguely pleasant names — "academic excellence and success fees," or "student enhancement fees," for instance. Some school officials admit openly that these fees aren't all that different from tuition. Since 2009, students at Georgia's public colleges have been paying hundreds of dollars a year in what are called "special institutional fees," separate from tuition. The fees vary, depending on the campus; at the Georgia Institute of Technology, which charges the most, they now top $1,000 a year. All of it goes straight into schools' general funds. "The special institutional fee goes to the exact same things your tuition goes to," said John Millsaps, spokesman for the state Board of Regents. The charges are simply called "fees" instead of "tuition," he said, because at a time when the state slashed funding, several classes of entering students had already been promised that their tuition would be locked in at the same rate as part of a "guaranteed tuition plan." Calling any increase "tuition" would break that promise. The intent was also that the fee would be temporary, Millsaps said. Instead, the fees have grown on every campus. College administrators also acknowledge that sometimes a "fee" is easier for students to stomach than a "tuition" increase — even if the difference is more about semantics than substance. "Unfortunately, the word tuition is a little bit of a lightning rod these days," said Colette Sheehy, vice president for management and budget at the University of Virginia. "And not just here, but in other places as well." This year, the university began imposing two new charges on students taking engineering courses or enrolled in the nursing school in order to better reflect the higher costs of running those programs. But rather than take the step of raising tuition on certain students, the school opted to implement the new charges as fees, as many other schools have already done. For an engineering major, the new fee typically adds up to an extra $750 per year, Sheehy said. Within the 23-campus California State University system, six schools have adopted some form of what's called a "student success fee" since the beginning of 2011. The annual fees, which different campuses have been using to cover a broad array of things from technology to mentoring programs to athletics, range from as little as $162 to as much as $430 a year depending on the school. At Auburn University in Alabama, mandatory fees have been steadily increasing for several years. They now make up 16 percent of an in-state student's combined tuition and fee costs. Part of this increase stems from self-imposed fees that students voted for because they wanted a new recreation center, said Mike Reynolds, executive director of student financial services. But a major component of the increase is Auburn's new $400 "proration fee," also introduced in 2011 to make up for a loss of state support. Reynolds said the charge was labeled a fee because it was intended to be temporary. "That fee could go away. Whether that will happen, I don't know," Reynolds said. Critics suggest that some schools likely keep their fee costs fuzzy as a way of seeming more financially attractive to prospective students. But if students are still paying for the additional costs in the end, any marginal marketing benefit on the front end may engender bad feelings after the bill arrives. "It is hard not to feel a little misled," said one parent of a student at UMass Amherst who did not want to be quoted by name. "Yes, they are on the web somewhere, but they are not always easy to find. Unless you dig out the list and closely analyze it, you don't realize there are all these extra expenses. Schools don't go out of their way to publicize it." School spokesman Ed Blaguszewski said in an email that the school makes an effort to be clear about total costs. "In publications and [on] our website, extensive details about the tuition, fees and the estimated overall cost of attendance are shared with students in advance," Blaguszewski said. "Our Admissions and Financial Aid staff believe prospective students are well informed about cost, and the info is publicly posted."